At Serenity Casket, we provide a wide range of options that will allow the bereaved family to tailor the funeral that suits their personal, cultural and religious requirements. o Provide a wide range of quality casket and casket for cremation, burial & repatriation. o We provide cremation arrangements with local three main crematorium, namely, Phor Kark See crematorium, Tse Tho Aum Crematorium and Government Mandai Crematorium. o We provide services on the purchasing of niche placement and also marble engraving on plaques with wide range of design of urn. o Booking and arrangement of burial plots can be arranged by us. With added services such as Tombstones making and engraving. o Dispersal of Ashes at sea to be arrange by us and we provide assistance on the booking of charter boat with assistance and guidance will be provided out the sea. o We provide arrangements for family who decided to hold the funeral wake at Remembrance Hall or Funeral Parlour. o We provide different types of memorial set up, with equipped PA system/Keyboard/microphone when necessary. Repatriation with Serenity- "Bring your love one home"
Ang Chin Moh Casket Pte Ltd | If you are looking for reliable and trusted funeral professionals, contact us today (65 6292 4376)! 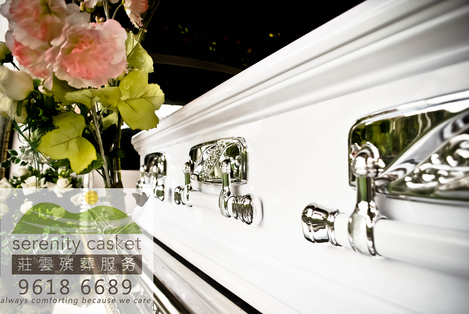 At Comfort Casket Singapore Funeral Service, you get value for a reasonable outlay at a time when you need it most. Listings.com.sg provides a list of popular 24 Hrs Handyman Services used by and recommended by Singaporean in Singapore. The Verge is a Shopping Malls located in Little India. A number of Beauty, Holding Company and others 51 business can be found in The Verge. Listings.com.sg provides a list of popular Catering Services used by and recommended by Singaporean in Singapore. 24hrs Ambulance Service! We do house calls and provide doctors and nurses to homes, clinics, corporate offices & factories including ambulance standby for events. Eldercare Service Locator is a search engine which allows you to browse through our directory of social and healthcare service providers. One-stop resource providing eldercare information to empower Singaporeans to make informed care choices. At HelloFlorist.com, we offer Chinese New Year Hamper, Orange Gift Basket, CNY Hampers, CNY Gifts Hamper in Singapore.